I'll never forget when Gossip Girl first aired on the CW in 2007. Even typing out that sentence felt jarring—was it really 11 years ago? I would race home every Wednesday night while it was on air just to catch the latest episode of Upper East Side drama. To this day, all the details of the TV series stick out in my memory. For one, it was at the peak of the flip-phone era, and I remember how every character on the show was rarely seen without one of the latest LG devices like the Razor or Sidekick. Simpler times, I know. Even the playlists were killer, and listening to certain songs still instantly conjures up a heartbreaking scene between Chuck and Blair. Which brings me to the fashion. 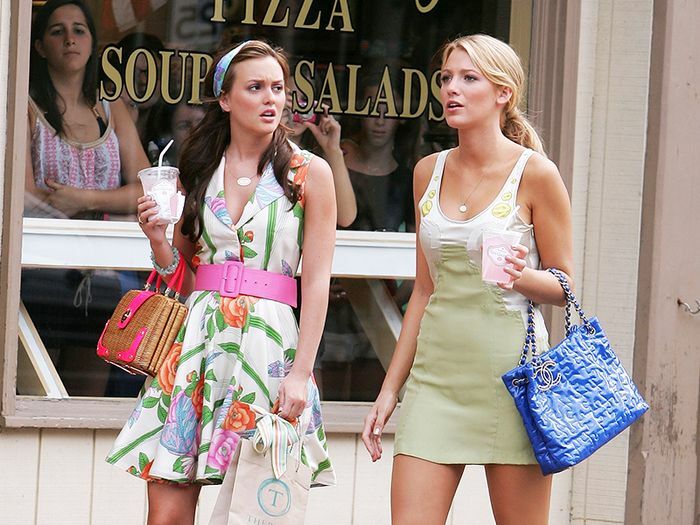 First of all, the show is loaded with late '00s–era trends that definitely warrant a cringe or two, but none of the fashion was more iconic than Blair Waldorf's outfits. Okay, so maybe "dated" is a bit harsh, but taking another look at her character's preppy ensembles made me realize that her wardrobe of colorful headbands, A-line dresses, belted peacoats, and rounded-toe pumps have taken a backseat to other aesthetic archetypes in the years since the season 6 finale. Instead, I imagined what Blair Waldorf outfits would look like if the show were to air in 2018. Which current trends would she wear? Which 2007-era items would bite the dust? Scroll down to see my take on her iconic style. Speaking of '00s-era TV shows with iconic style, two words: Marissa Cooper.